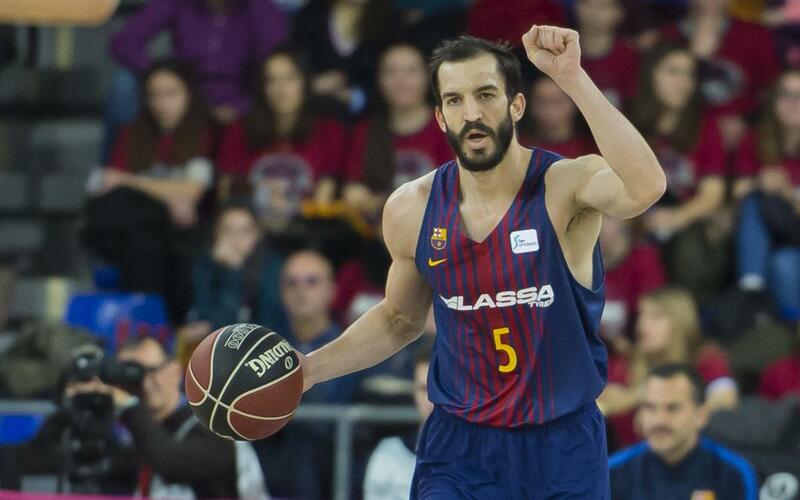 On Svetislav Pesic 's return to the bench, Barça Lassa took a 90-58 win against Retabet Bilbao Basket at the Palau Blaugrana on Sunday afternoon. Outside shooting and a solid defence were the keys to the win. The opening minutes of the game were full of back-and-forth action, until Barça established a 5-0 run that forced Bilbao Basket into their first timeout. The home team continued to control the quarter from there, boosted by their excellent perimeter shooting. A late dunk from Oriola brought the crowd to their feet, before the first quarter ended 22-14. In the second quarter, the visitors cut the difference, before Ribas and Tomic got the gap back to 10 points. At half time, Barça Lassa held a healthy lead, 35-27. The blaugranes came out for the second half with all guns blazing, scoring 9 unanswered points to pull ahead by 17. The third quarter saw Barça continue to be clinical from outside, and they led 62-37 for the start of the final period. A placid fourth quarter continued Barça's dominance, and their 3-point shooting -combined with effective inside play- gave them a 90-58 win. Next up for Barça Lassa is Copa del Rey action in Gran Canaria. Svetislav Pesic was back home on Sunday. Following the departure of Sito Alonso, the Serbian coach who led Barça to their first Euroleague title returned to the bench to a rapturous ovation, and was able to cap the occasion with an all-important victory.